Starting in just under two weeks, all high-ratio, five-year rate mortgage applications will be subject to a “stress test.” This means that the buyers will be qualified at a higher rate, right up to the five-year benchmark rate, instead of the best five-year rate. The intention is to help ensure that buyers can truly afford their mortgages in a real estate market that is seeing higher and higher price tags. On Monday, Ottawa announced they were changing eligibility requirements and criteria for mortgage applications. In the example that Global News gives, the difference between a monthly payment at the best five-year rate and the benchmark five-year rate is a difference of $725/month. That’s a huge difference! Not to mention that is with a 10% down payment. If you can imagine only putting the minimum 5% of the purchase price down, then that monthly difference will be even higher. The likelihood of the government increasing interest rates by 2.5% right away is slim, but it is still a good test to show what could happen by the end your five-year term when you are looking to renew your mortgage. 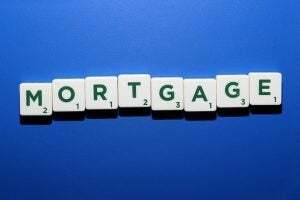 Mortgage debt, and debt in general, is at record highs in this country right now, and with economy in an uncertain state, the federal government is concerned about Canadians’ abilities to cope with an increase in interest rates. Mortgage brokers like Sharie Minions recommends you “stress-test” your mortgage as part of your own due diligence before buying. Now the government is implementing that as a requirement of all insured mortgage applications. On November 30, high-ratio loans mortgage loans insured with mortgage default insurance will also be required to meet new eligibility criteria that was typically only applied to highly-leveraged insured mortgages. The new criteria will include a maximum amortization of 25 years and a minimum credit score. Do you have questions about your existing purchase or your mortgage? Send us your real estate questions to info@thecondogroup.com or email your mortgage questions to Sharie Minions at sharie@mortgagegrp.com.